Compact, eye-catching, unique for limited space issue ! machined on all sides and are therefore, ready for a variety of mounting options and applications. The unique motorposition provides an almost flat and easy to mount on �machine-interface�. 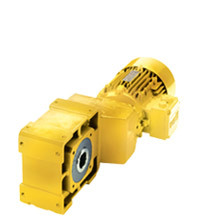 Unbelievable price on Helical bevel geared motors in Shah Alam (Malaysia) company Watt Euro-Drive (Malaysia), Sdn. Bhd..